So then, it’s a seminar on how artists can engage with record shops arranged by the fantastic folks at Born To Be Wide** -An important and increasingly relevant community interest group dedicated to helping Scottish artists find their way in the music industry. More about the event and tickets, HERE. There is only so long that George and I can say that we’re a just a new shop learning the ropes. After 2 and a half years we’ve learned a lot about the local music scene and have befriended so many of our customers, several local bands, solo artists and the record company distributors, the SMIA/SAY award team and many small to medium records labels. I think we’re no longer two virgins* and even have a bit of expertise to share from the perspective of an enthusiastic new shop. Who still shops in record shops? Who looks at the local stuff? Isn’t it a bit cliquey? What do shops know? Who do shops know? How should a band or label approach record shops? Don’t I need a label? Will you stock our release? Will it sell? How to help your release sell in shops. How much commission does a shop take? Instores –are they worth it? What about Record Store Day? What’s selling just now? Should I release on Vinyl or CD when downloads are doing well? I’ve made 15 albums or CD-R, do I just bring them in? Where did you get that jumper? As a band T-shirt wearing kind of guy, my own point of view is that record shops should have local stuff all the time. We have an open shelf policy towards Edinburgh bands and I’d like to invite any artist or label from Edinburgh and throughout Scotland to get in touch and we’ll put your record or CD on the shelf. Interestingly, Honeyblood have been featured on Wide Days/Born to be Wide. They are now signed to FatCat and have a single out Monday on pink vinyl with an album coming out next year. The girls played for us and you on Record Store Day this year and we’ll have plenty of in. It wasn’t Wide Days or RSD with us that got them a record deal or onto the stage at T-in the Park but I suppose it works as an example of the symbiosis (yes, symbiosis!) of the music community. Lots of little kicks can smash down big doors. It’s really a small world and it’s sensible that we should all be pals. Ask not what your shop can can do for you but what you can do for… Sorry, no that’s not right. Anyway, I hope to see you Thursday! * A Lennon and Yoko album. 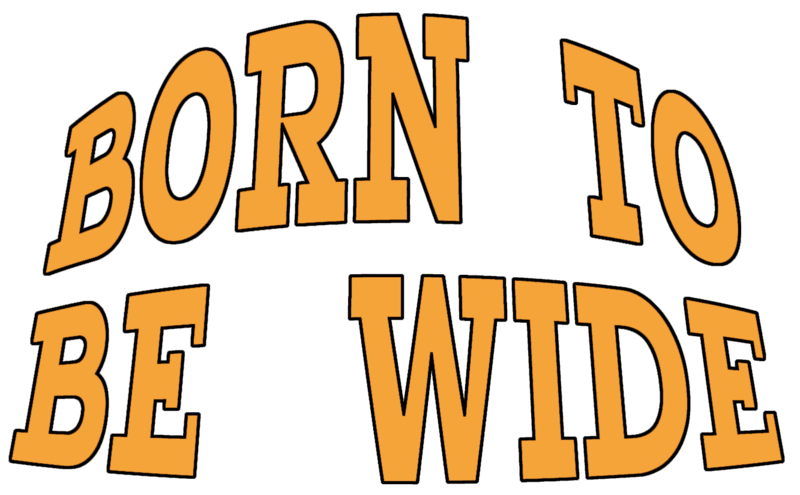 ** Born To Be Wide is a Community Interest Company based in central Scotland which stages regular music business seminar and social events for anyone involved or interested in the Scottish music scene. Born to be Wide is a Community Interest Group aimed at supporting local artists and giving the best advice on how to get along as a musician. ince April 2008, Born To Be Wide has hosted seminars covering subjects such as How To Get A Gig, Unveiling The Mind Of A Music Journalist, A&R, Music Festivals, Music PR, Record Sleeve Design, How To Get On Radio, Music Management and Booking Agents. In addition to the regular events, Born To Be Wide hosts Wide Days, an annual two-day convention and showcase event which takes place in Edinburgh in April, as well as delivering seminars for various other music industry events including GoNorth. Olaf is the blond D’Artagnan of the Scottish music industry has been running this important community event for ages and has become a stalwart of the Scottish music industry.